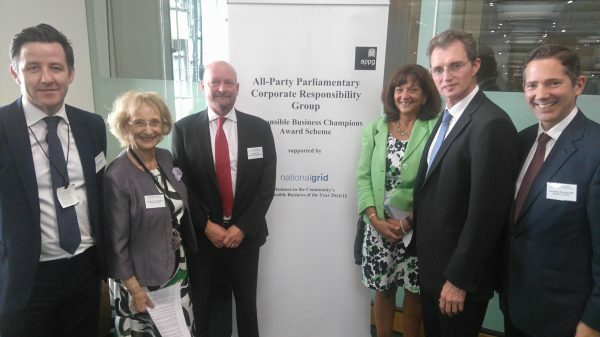 Jonathan Djanogly MP and Baroness Greengross, Co-Chairs of the All-Party Parliamentary Corporate Responsibility Group (APCRG) announced that Griffiths has won the APCRG’s 2016 National Responsible Business Champion award. Martyn Evans, Executive Director at Griffiths was presented with the 2016 National Responsible Business Champion award by the Business Secretary, Sajid Javid, at a reception in Parliament. Griffiths was nominated by David TC Davies MP (Monmouth), and was chosen by a Parliamentary judging panel which looked at nominations from MPs representing constituencies across the UK. “The judging panel were very struck this year by the very positive and supportive way in which so many of our small and medium sized enterprises (SMEs) are operating across the UK both in terms of their internal working practices and the social contribution which they make to their communities. Many of them do not have dedicated “corporate responsibility” teams but simply believe that operating responsibly is the right way to behave and makes good business sense. We were told by David TC Davies MP who nominated Griffiths that “fairness, inclusion and respect is central” to the business approach of this company and it was entirely borne out by the facts were we were given about its working practice, treatment of suppliers and strong support for its local community. The judges commend its support for the local community and investment in healthy workplaces, but where this company really stood out was in its support for equality and diversity and, particularly, its support for older workers – something we particularly wanted to encourage and celebrate this year. 20% of the company’s board members are female. 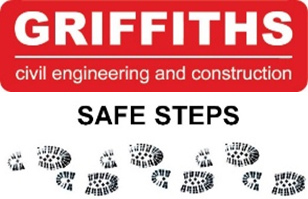 Griffiths regularly hosts Women’s Careers in Construction events and supports the Government’s #Notjustforboys campaign. “This year we had more than twice as many nominations from MPs as last year and the overall standard was higher. As a result some excellent companies were not even long-listed for our National Responsible Business Champion award. The companies which not only made the shortlist but topped it have every reason to feel extremely proud of their achievement. Our scheme differs from other responsible business awards in that it focuses on the impact of companies at a constituency level. We devised this scheme because we wanted to encourage MPs to consider whether companies in their constituencies are operating responsibly and to help us identify – and celebrate – the achievements of the very best. This means that small and medium sized companies have every chance of competing successfully under our scheme against great national and international businesses.